Living room with concrete acid stain and tag line: Clear-A-Thane Sealer, IMPROVED FORMULA: Better Water Resistance, Adhesion and Finishes. Kemiko Is Decorative Concrete Made Easy. Dining room with concrete acid stain and tag line: Concrete Floors Re-Imagined. Kemiko Is Decorative Concrete Made Easy. Grocery store meat counter floor area with concrete acid stain and industrial top coat with tag line: Decorative Appeal That Engages. Kemiko Is Decorative Concrete Made Easy. 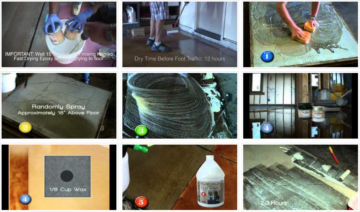 Pub with concrete acid stain and tag line: Performance Coatings That Endure. 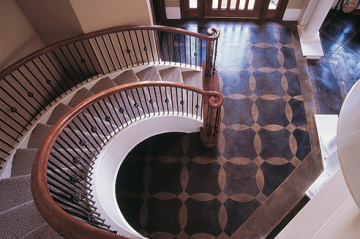 Kemiko Is Decorative Concrete Made Easy.